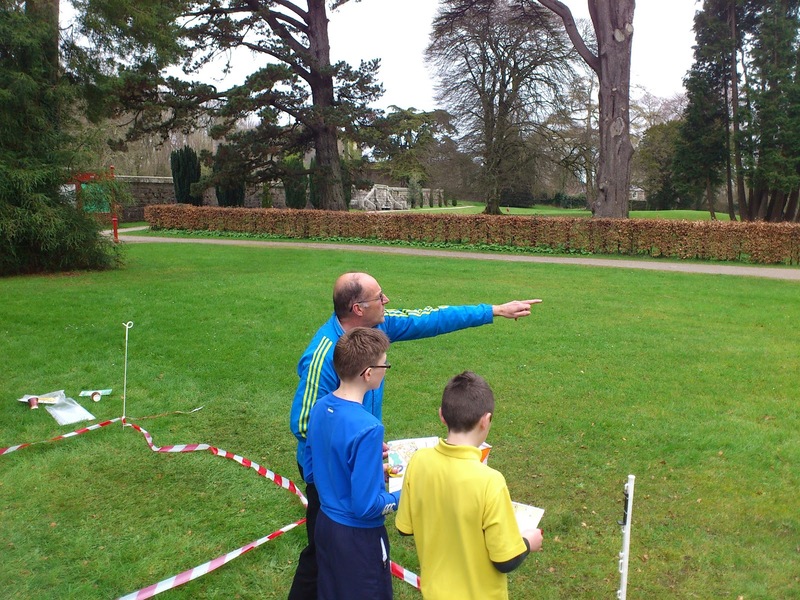 Waterford Orienteeering club hosted both the Irish Primary and Secondary schools orienteering championships at Woodstock Gardens, Inistioge, Co.Kilkenny. Best individual performances in the Secondary level came from Denise O'Connor (Presentation Waterford) who saw off the challenge from Anna Hickey (Newtown) and Kate O'Donovan (Nagle Rice, Doneraile) to win the Post Junior Cert Girls category. Newtown retained their team title with Anna Hickey, Andrea Harvey, Nichola Fennell and Becky Barr. 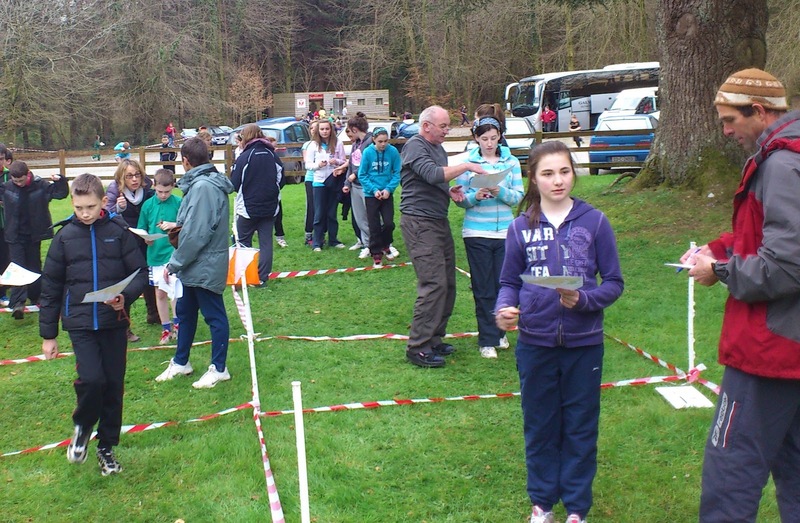 The Ursuline team of Rachel Moore, Maggie Doolan, Laoise Doyle and Rachel Butler were 2nd team home. 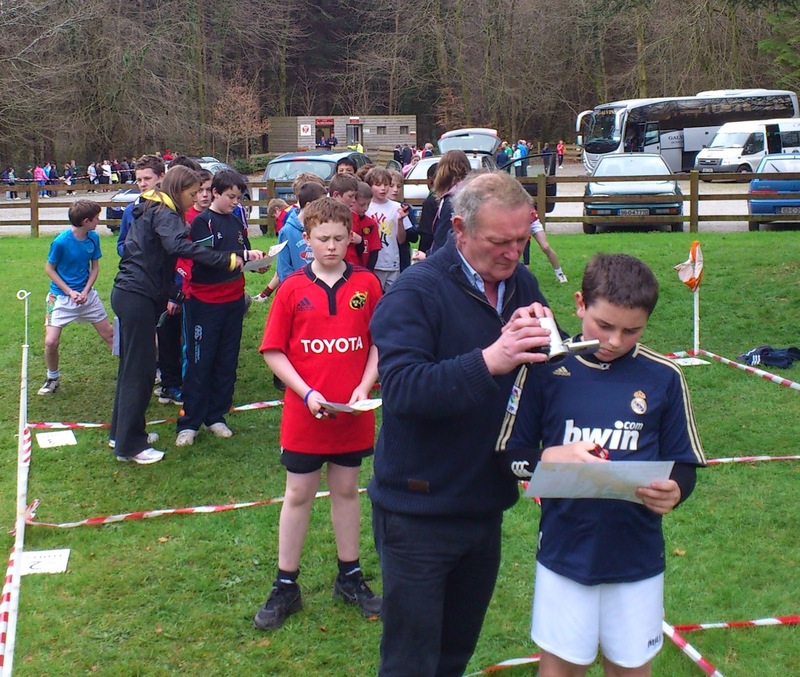 Robert Pim (Newtown) stormed home in the 1st year boys category in 1st place ahead of Ruairi Ling (Rockbrook, Dublin) and Michael Kelly (Midleton CBS). 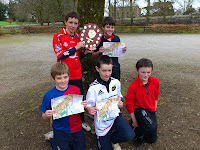 Newtown picked up the team title for the first time with Robert, George Maclean, Philip Dwan and Mark Morris) ahead of Midleton CBS and Clonakilty. Waterford teams picked up further prizes in the Senior Boys where Newtown (Kaine de la Haye, Joshua Thiele, Charlie Kelly and Geoff Graham) finished 2nd behind Midleton CBS; and in the 1st year girls category, the Ursuline (Kate Maguire, Alyson Bermingham, Niamh Murphy and Leah Keating) narrowly pipped Newtown (Leona Quigley, Camilla Benivides, Emma Galloway and Emma Swift) for 2nd place. The best individual performance in the Primary schools was by Emily Collum from Faithlegg N.S. 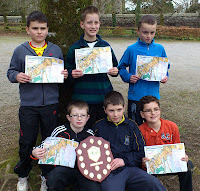 in the 5th class girls section who won first place. 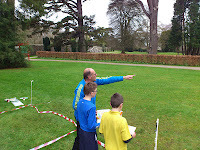 This helped the team finish 2nd behind Convent Primary Mallow. Joanna Meaney, Kate Lynch and Molly Doherty were the other members of the team. There were fine individual runs by Ciara Walsh (Ballyhack in 4th), Rebecca Bawden (Ballyhack in 6th) and Jordan Pim (Dunhill in 7th). 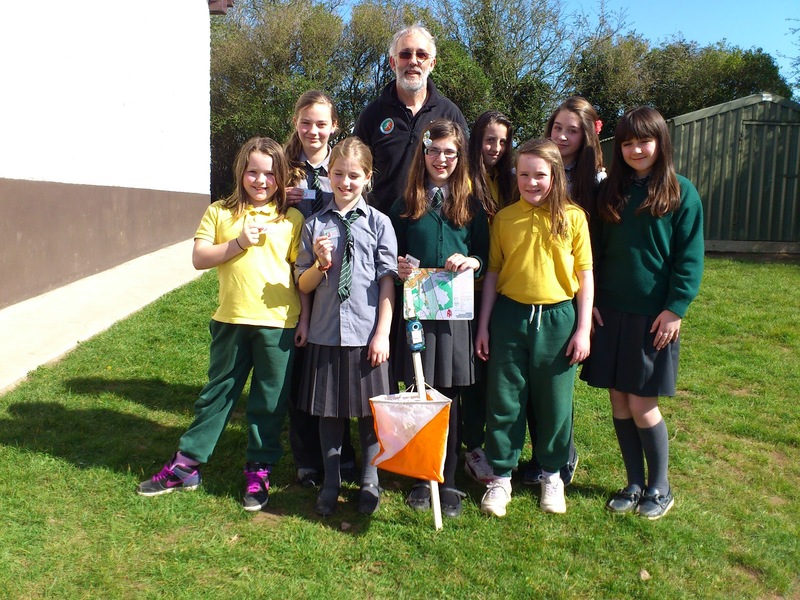 Waterpark (Lorna Monahan, Kaya Reynolds, Maya Laura and Hannah Gibney) finished 3rd team. 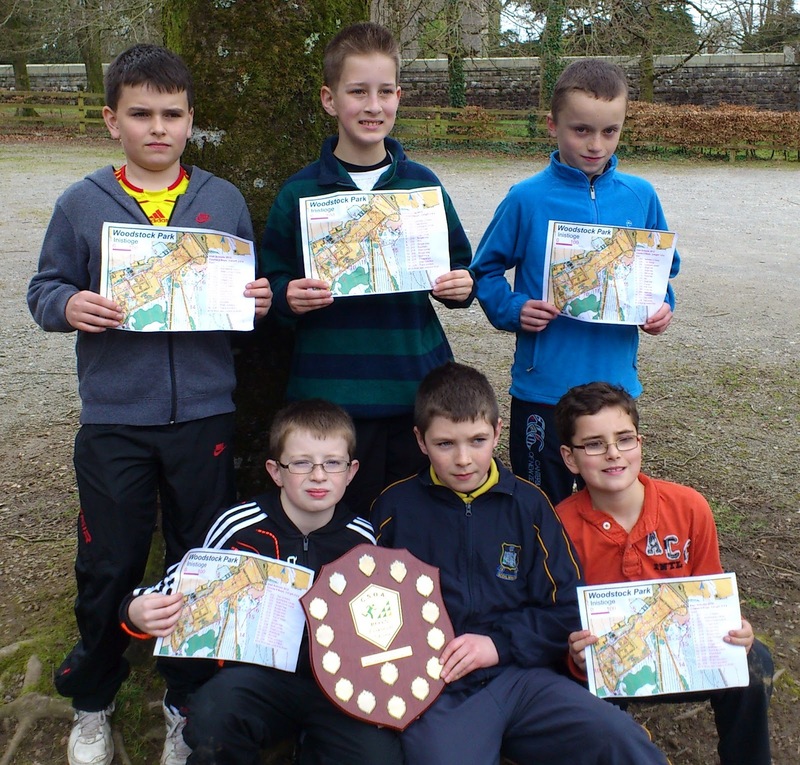 In the 5th class boys, Waterpark (Dylan Brennan, Brian Sheridan, Cathal Moran and Jacob Ellicott) finished 3rd behind Scoil Mhuire, Cork and Clonakilty. 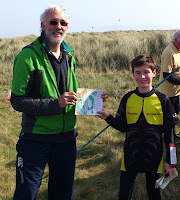 The best individual was John Manoaghan from Faithlegg who finished a commendable 8th out of 52. 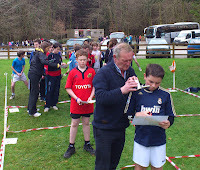 The strongest entry was in 6th class boys where 102 took part. 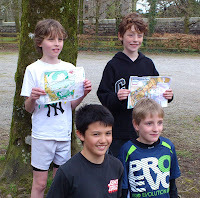 Jacob Pim (Dunhill) was the first local finisher in 14th whilst the Butlerstown pair of Andrew Mulhall (24th) and Jack Walshe (25th) also had good runs. The 6th class girls was dominated by Mallow but Faithlegg (Cici Tracey, Molly May Powell, Sophie Quinn, Iona Nevin Maguire) finished a pleasing 3rd team in a large field.